Editor’s note: November is Import Month on the ClassicCars.com Journal. Get all the news you could ever need about Italian, German, English, French, Japanese and lots of other cars at our dedicated page. With BMW cars, the higher the series number, the higher end the car tends to be. This idea was probably best represented in the 8-series GT cars. 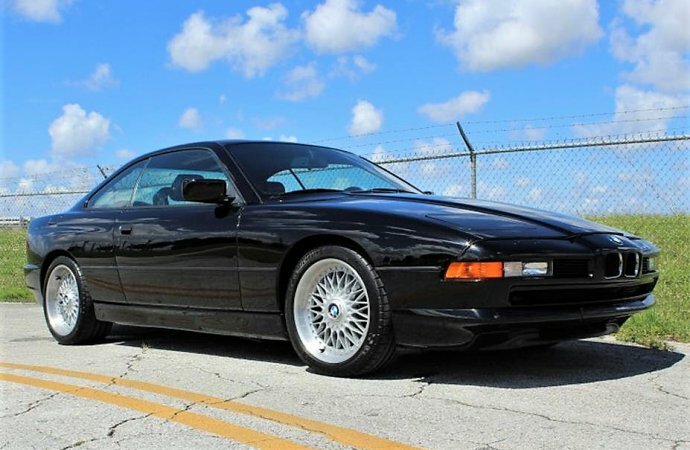 The Pick of the Day is one of those, a 1991 BMW 850i finished in its original Jet Black paint over black leather interior. 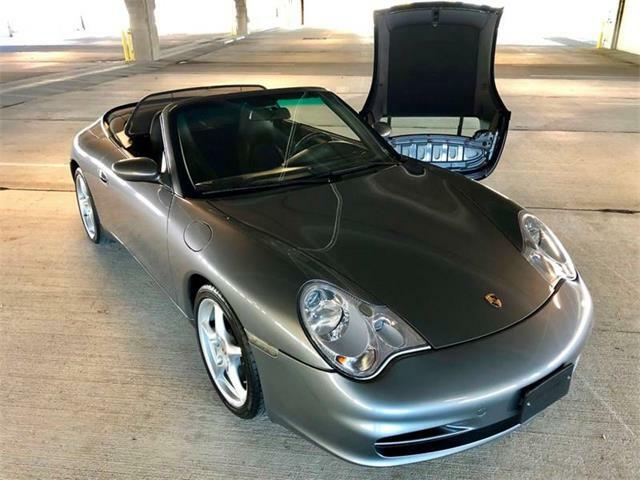 It is a three-owner car with 94,500 miles that was previously in the possession of a lifelong BMW Collector who had it for quite a long time, according to the Doral, Florida, dealer advertising the car on ClassicCars.com. The 8-series was introduced at the 1989 Frankfurt Motor Show, and designed to move past the market of the outgoing 6-series coupes with stronger performance, and with it an increased price. 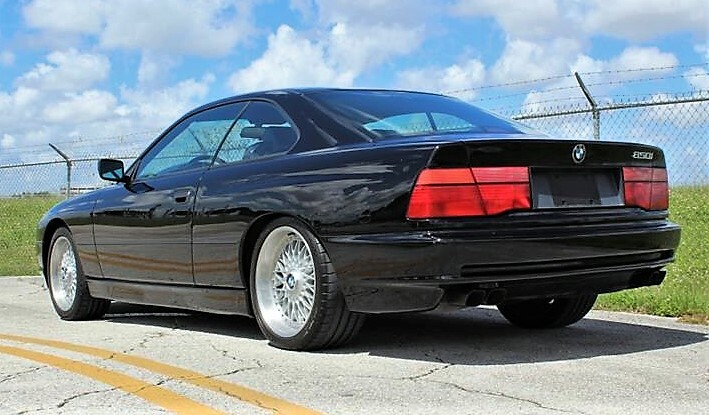 The 8-Series also was the first BMW road car to offer a V12 engine, as well as being fitted with electronic drive-by-wire throttle and a multi-link rear axle. These cars also were the first BMWs to come equipped with Dynamic Stability Control (DSC), and the first of the German automaker’s cars completely designed by computer, which resulted in its low .28 drag coefficient. That design is not just efficient but timeless, as the 8-series still looks fresh today, with wedge-shaped styling reminiscent of the M1 supercar and stunning pillarless coupe design. During its lifespan, the original 8-series could be had with a V8 engine, a model named the 840i. All of these coupes had tremendous options lists, breathtaking performance for the era, and were in many ways more of a supercar than a GT, as it was presented. The 8-series was designed to devour long stretches of road at a very brisk pace, while at the same time providing driver and passenger with supreme comfort. Think of it as an alternative to air transport. All of this greatness came at a price, as the 850 when new sold for more than $100,000, a massive sum in 1991. This price tag did not lead to strong sales, and by the end of production, BMW had sold only a few more than 8,000 cars in the U.S. There is a technical downside to the 8-series cars and that is the complexity of the model. 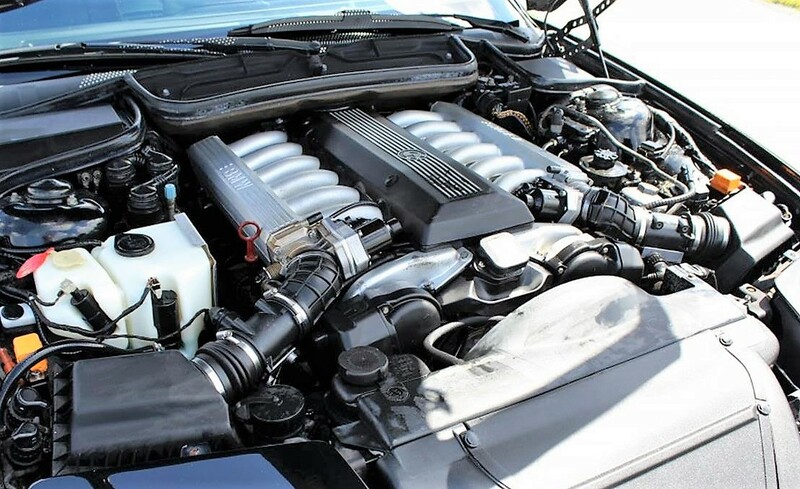 The reason BMW used the drive-by-wire throttle system for the V12-equipped 850s is because they did not have a V12 engine management or fuel system. So they used a pair of 6-cylinder units, which necessitated throttle by wire to control them. This means two of everything for the engine-management system, and twice the work when servicing the car. 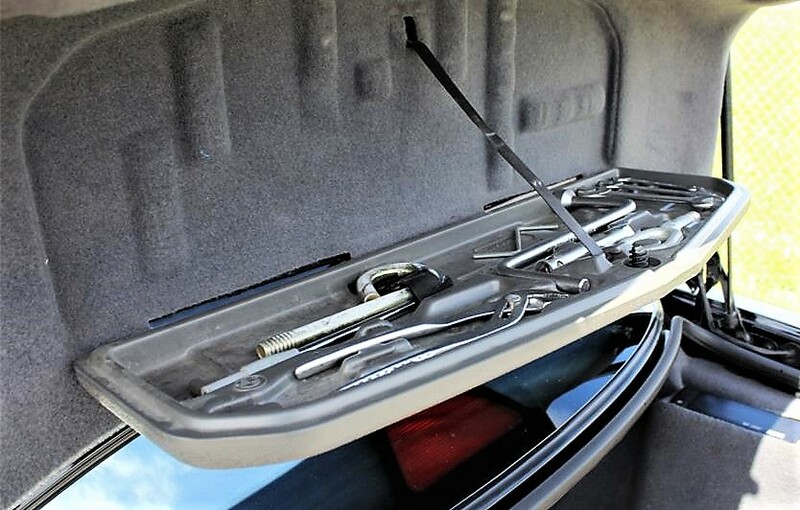 The cars advanced features such as DSC also can lead to maintenance issues. As these cars age, the electronics age as well. You need to know up front that the 850i is an expensive car to properly maintain, but if you take the time to do so, the rewards are to own one of the most-advanced cars of the era. And note that the V12 engine in the 850i was the basis of the McLaren F1 supercar. The seller describes this 850i as being in great driver condition inside and out, and with all its electronics in working order. 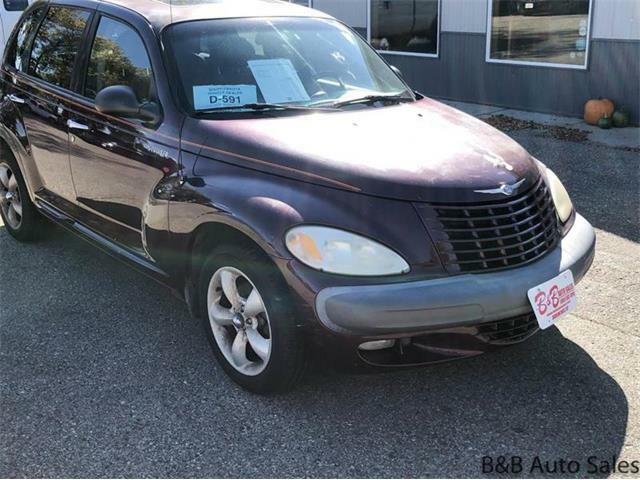 The paint does show some imperfections, the dealer notes, but still presents well. 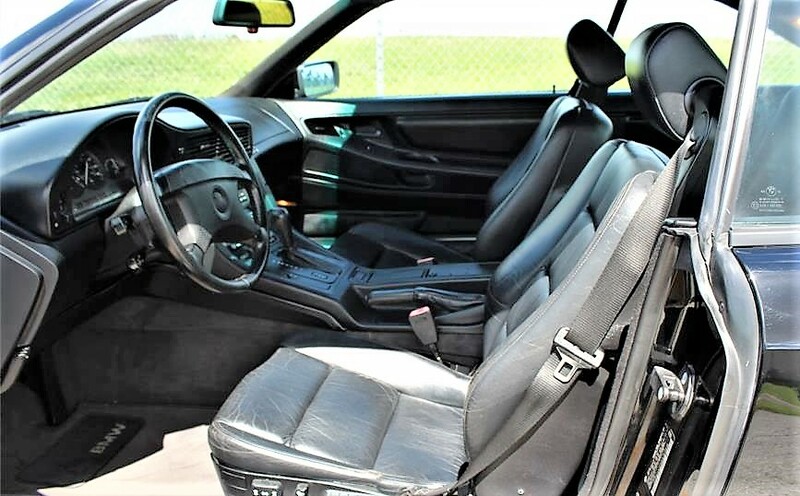 The interior remains clean with normal wear present, and the AC blows cold. 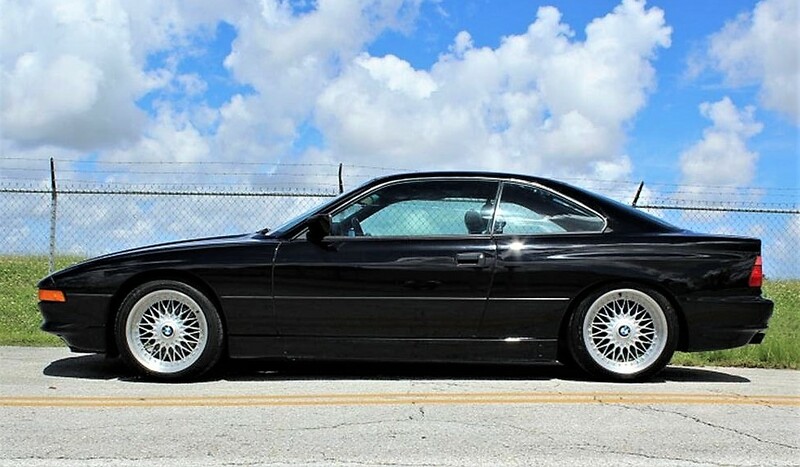 All scheduled maintenance for the car has been performed and mechanically, this 850i needs nothing, according to the seller. The car includes 20 years of service records, it is properly federalized and documented, and is sold with complete owner’s manual, Carfax, tool kit and federalization papers. 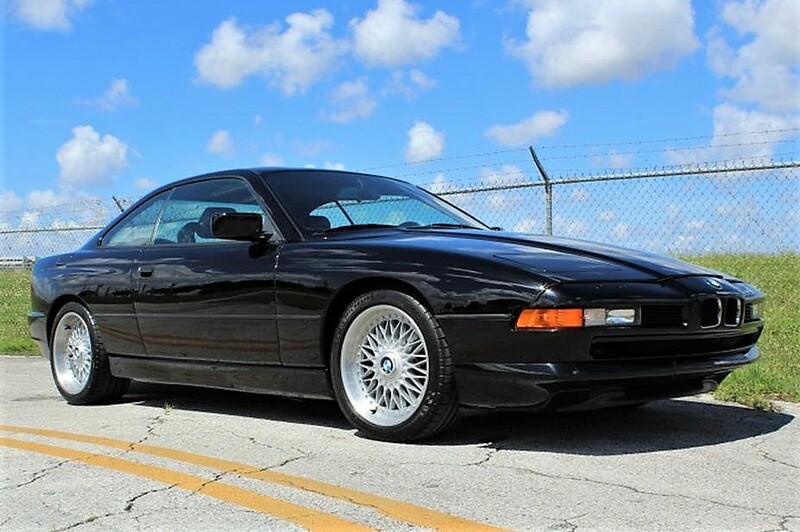 The 850 BMW cars have been slowly increasing in value during the past few years, and this example with an asking price of $23,490 represents a good deal for a car that apparently has been well cared for.